A woman who survived being slashed in the neck is urging women to get out of a relationship if it's abusive and controlling. Danny Cosby is accused of attacking her near the intersection of 6th Street and Sylvan Street in east Nashville with witnesses around. According to his affidavit, he admitted that he snapped and stated that "if he could not have the victim, nobody could." "I felt it but I didn't feel pain. I could feel him slashing me but it didn't hurt for some reason because I guess I was in shock. The next thing I knew I was waking up at the hospital," McKinney recalled. McKinney said she had her bags packed because she was leaving the relationship. She first met Cosby at Room In The Inn six months ago. She described him as charming at first but he quickly became controlling. "The real him started coming out. 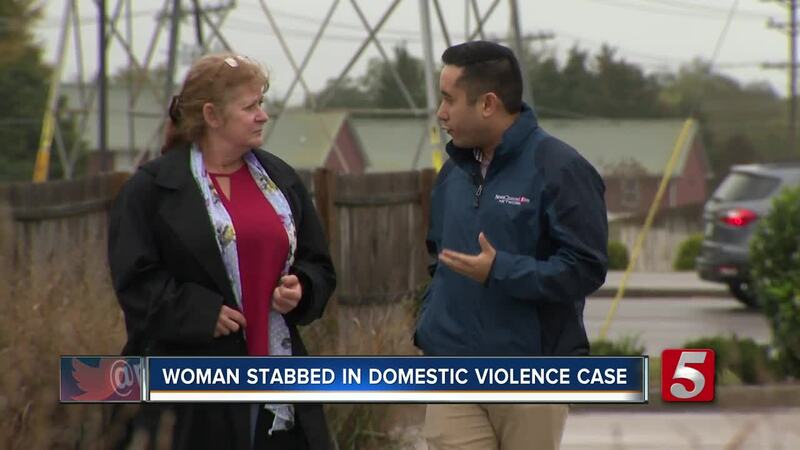 There was control, he wanted to know why I was leaving the house, controlling my money, telling me what to wear, and these things are just warning signs and it's not going to get better," she said. McKinney wanted to leave as soon as she learned that Cosby was released from prison in March after he served a 20-year sentence for two counts of attempted first degree murder. According to the Tennessee Department of Correction, Cosby also served time for aggravated assault charges. "That's when I decided to leave and pack up, and that's the most dangerous time is right when you're leaving. I started packing my stuff and hiding it and keeping it in the closet and I was never alone so I had to leave right in front of him," she remembered. She is now seeking help through a domestic abuse shelter in Murfreesboro. Tennessee ranks fifth in the nation when it comes to men killing women, according to YWCA. Metro Police respond to about 26,000 domestic violence calls a year. If you happen to find yourself in a domestic violence crisis, you can call the YWCA's hotline for help at 1-800-334-4628.